Current students may enroll in a prorated Spring 2019 meal plan or upgrade an existing meal plan anytime during the semester by contacting the Wolfpack One Card office. Summer 2019 meal plan registration is now open. Please review the options below and click “register now” to enter MyPack Portal and make your selection. Registration for Academic Year 2019-2020 plans will begin on June 1. **Dining Dollars roll over from semester to semester but are not refundable upon graduation or withdrawal from the university. All first-entry students living on campus are required to have a meal plan unless they are assigned to University Towers. Students assigned to this residence hall are required to have a University Towers plan and can supplement it with an optional NC State Commuter plan for on-campus dining. Preview the meal plans below and make your selection during the open enrollment period (June 1 – September 30) by clicking the “Register for an Academic Year 2019-2020 Plan Now” button. Plans are priced per semester and billed through the cashier’s office. Meal plans and campus food transactions are subject to NC sales tax. Meal plan selections can be changed until September 30 for the fall semester and January 31 for the spring semester. 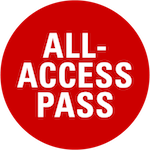 *The all-access pass included with the Weekday, Everyday, and Deluxe Plans requires that 30 minutes pass between each Dining Hall Swipe. Can be used as Dining Hall Swipes and/or Meal Credits. Flexibility to choose how many meals you use each week. Can be used at any dining location. 5% discount at the register. Available only to students living off-campus or in Wolf Ridge, Wolf Village, E.S. King Village, Western Manor or Fraternity/Sorority Housing. Great supplement to University Towers Plan. While Dining Dollars roll over from semester to semester, meals do not. Keep this in mind as you make your selection and consult our website to monitor usage or add Dining Dollars throughout the semester. Dining Dollars are non-refundable, however, they do roll over from semester to semester and will remain active and be available for use on your Wolfpack One Card during your enrollment at NC State.